Minotaur´s mother as a bible Madonna, a wolf as a martyr on the cross, a human-animal society like Jesus with the apostles at the last dinner or imprisoned beggers behind the fence. 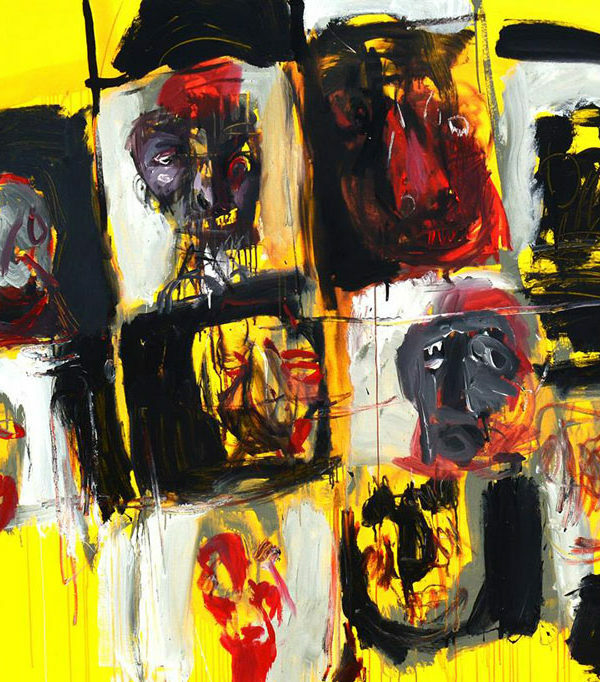 Many of the paintings he created over the last five years have been presented by Marek Ormandík at a large profile exhibition called “Table and Fence” in ZOYA Gallery, Bratislava. “Tables filled with food and drinks, but also with fences, especially the border ones, are a sign of the era, our time of abundance”. These are two present phenomena – the times of the moving of nations. “And Marek Ormandík comments on with brush and color, adding something important to the topic,” explains the exhibition curator Jiří Olič. Ormandík’s freshest, yet unveiled, cycles of large-scale paintings from 2015 and 2016 – The Table and Plot dominated his current independent exhibition. Even in previous cycles such as the Holy behind the village, the Purgatory, or the Madonnas, selection of which will also appear in exhibition, Marek Ormandik studied, sculpted and transformed the classic biblical and mythological motifs with his unmistakable handwriting. This is not the case with new works such as Betrayal or Long Waiting. “Jesus disappeared from these images. However, I still put the symbol of sacrifices in favor of the neighbors. But especially, I want these paintings to talk about waiting. The common and social expectation of a fatal change – not really knowing whether for better,” said the painter about the cycle Table, inspired by the iconic Last Supper. Visitors also had the opportunity to see works where the artist expressly argued with a refugee theme. “I do not know who’s behind the fence. Are we, or are they?” Explains Marek Ormandik his point of view, which he transformed into the most recent pictures. 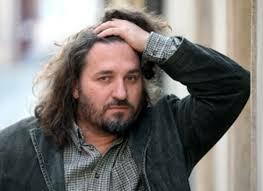 In recent years, he has touched the theme of the wolf both as a hunter and caught, and so the cycle called V.L.K. (wolf) has emerged, which also dominated the exhibition. “In some paintings, Marek Ormandik sees this creature almost realistically true in its animal form and behavior; on others, the wolf sees the human society and acquires not only human traits and morals, but also the human body and enters human stories. 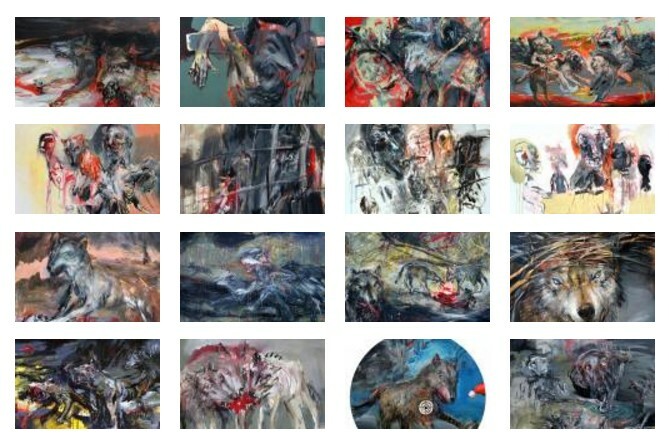 It would not be Ormandík, if he would through the wolves ruthlessly mock our rooted beliefs and our view on ourselves.” Pavel Vilikovsky commented on the series. 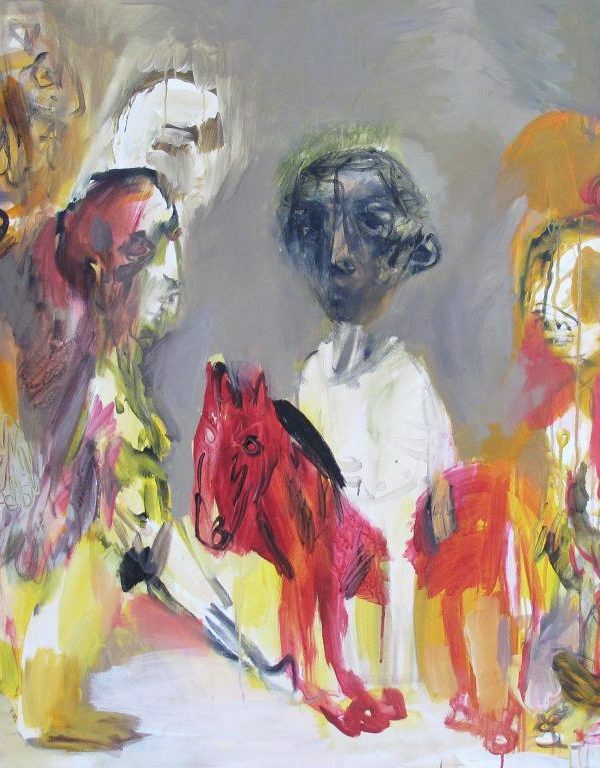 As it is known in the works of one of the most outstanding painters of the contemporary Slovak scene Marek Ormandik, his works are provocative. 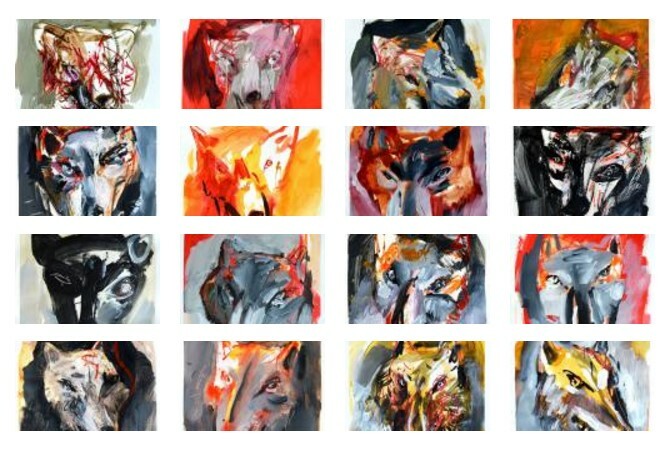 The culmination of the cycle is a series of portraits on which wolves pose as members of bourgeois families who are being painted based on an order. The canvas on the exhibition was complemented by illustrations of his drawings and sculptures. The exhibition “Table and Fence” is based on an identical publication with reproductions of paintings, besides the main, curatorial reflection of the Czech poet, essayist and art theorist Jiří Olič, there will be also excerpts from the texts of other authors commenting on the work of Marek Ormandík. Marek Ormandík (1968) graduated in 1987-1993 at the Academy of Fine Arts in Bratislava – the Department of Free Graphics and Book Production. His work ranges from large-scale and chamber paintings, through illustration, drawing up to sculptural works. He won several important awards, and his work was presented on dozens of independent exhibitions in two decades of active artistic work. 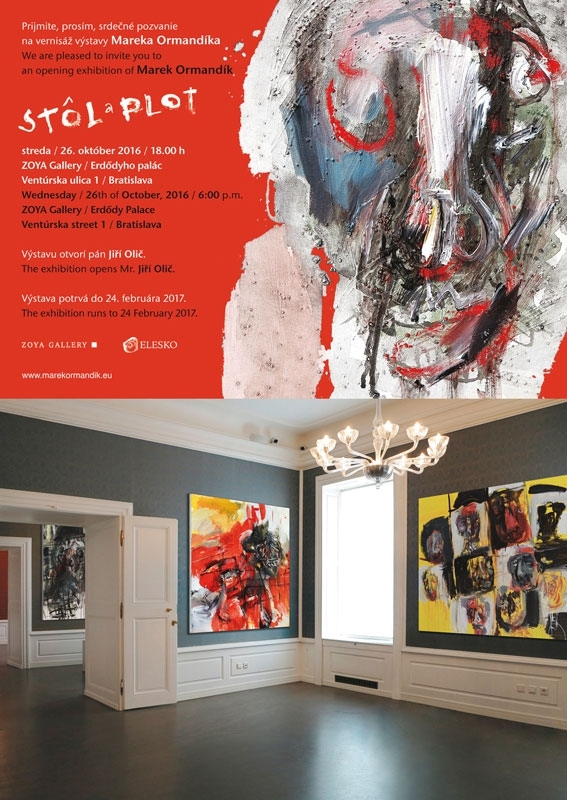 Besides neighboring countries, he has also exhibited in Norway, France, Italy, Germany, Russia, Slovenia and Serbia.